Whether it's overnight or for a number of years, carers provide support, stability and care in a safe and loving environment to children in need. 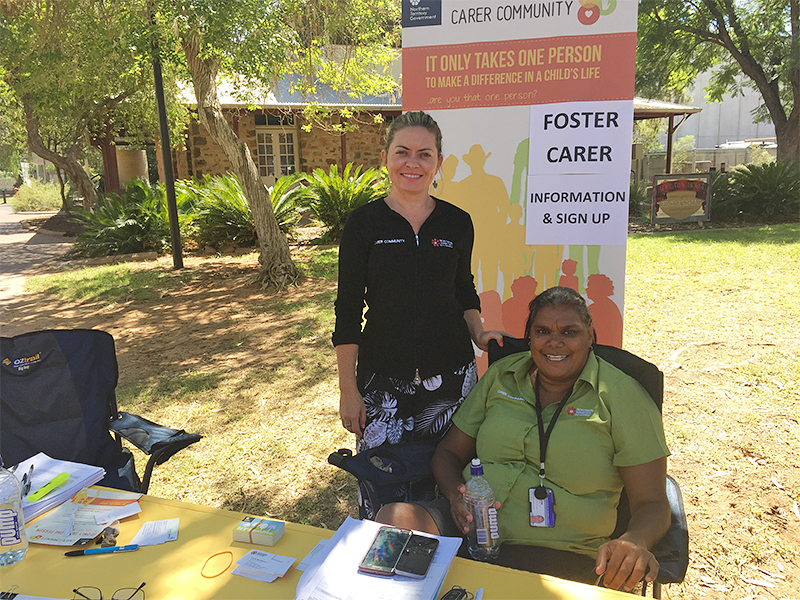 The Department of Children and Families Foster Carer Recruitment team has been busy in Alice Springs this month. The visit included information sessions and stalls at the Yeperenye Shopping Centre and the Todd Mall. Being a carer is not easy, but it can make a huge difference to the lives of the children who need it. If you think you have what it takes to become a foster carer please call the recruitment hotline on 1800 814 599 or visit Carer Community website. The Foster Carer Recruitment team at the information stall in the Todd Mall.